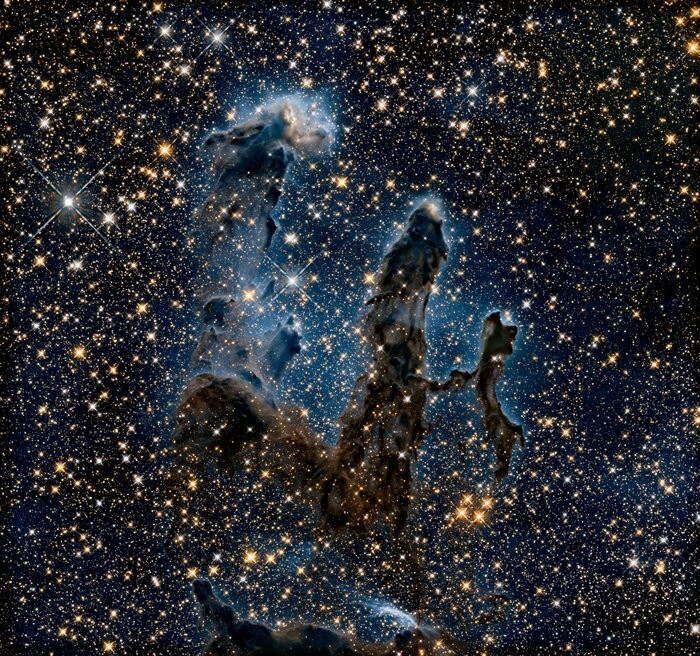 The Pillars of Creation is perhaps the most famous nebula in the night sky. One of the controversies regarding the pillars is whether they still exist. 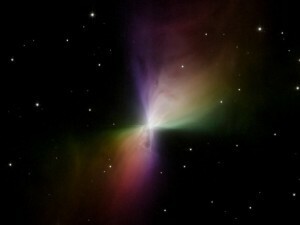 The nebula is about 7000 light years away from us, so what we see is the pillars as they were 7000 years ago. Observations of the Spitzer infrared telescope found evidence of a supernova shock wave, that by some calculations will destroy the pillars in about 6000 years. That would mean the pillars were destroyed about a thousand years ago. But we now know that isn’t the case, thanks to a bit of 3D imaging. 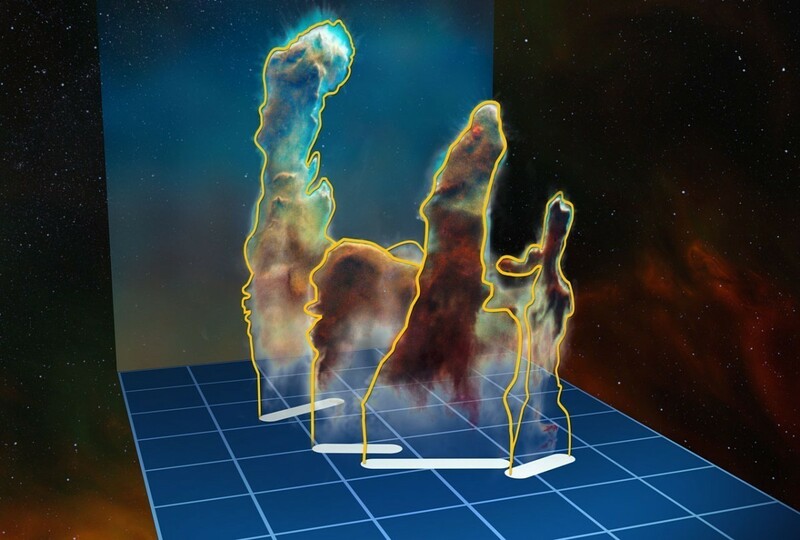 The pillars were observed with an integral field spectrograph known as MUSE. This device allows us to measure the spectrum of an image at multiple points at the same time. From this we can determine not only where a particular pillar is in our field of view, but also how far away it is relative to other pillars. From this we can determine which parts of the pillars are behind the young O and B stars of the nebula, and which are in front. Using this data, a team of astronomers calculated the rate at which these bright stars are causing the pillars to evaporate. They found the pillars are deteriorating at a rate of about 70 solar masses per million years. Since the mass of the pillars is about 200 solar masses, it will be about 3 million years before they are completely destroyed. That’s a short time on cosmic scales, but it also means that the Pillars of Creation are indeed still there, and will be for quite some time. Paper: A. F. McLeod, et al. The Pillars of Creation revisited with MUSE: gas kinematics and high-mass stellar feedback traced by optical spectroscopy. MNRAS 450 (1): 1057-1076 (2015).